﻿Album Review: Hoobastank - 'Push Pul'. With ten million plus album sales under their belts, and - at the time of writing - over four hundred million plays of mega-hit ‘The Reason’ on YouTube, post-grungers Hoobastank have little left to prove to anyone. Like Nickelback, and countless other acts of their stature however, they have almost as many detractors. It’s easy to sneer with such large scale success, however there’s a huge audience for their brand of infectious alt-pop, and without prejudice, there’s plenty to enjoy about this, their sixth album. Evolving from their nu metal-tinged roots, in a similar way to Linkin Park, Hoobastank have eschewed their rougher edges, opting instead for a wholly polished, synthesised sound. Producer Matt Wallace may have sat behind the chair for Faith More’s landmark ‘Angel Dust’ release, but ‘Push Pull’ has much more in common with his latter day work with Maroon Five. This is contemporary music built to bother the upper reaches of the charts and take on the mainstream. Opener ‘Don’t Look Away’ sets the scene, as a highly processed, computerised stomp gives way to catchy edgy disco. It’s followed by the produced beats and melodic pop of the title track, which creates a real earworm. It’s a sound the prevails for the duration, however there are nods here and there to the California band’s influences. The chiming U2 guitars of hit-in-waiting ‘More Beautiful’ give way to an updated take on Tears For Fears’ classic ‘Head Over Heels’. This unusual choice sees Hoobastank paying tribute to the English duo while putting their own imprint on a genuine eighties’ classic, in Marilyn Manson-esque fashion. Adding a little tension, danger, and even a distorted guitar or two, ‘True Beliver’ is about as edgy as things get, with the possible exception of the Garbage-esque ‘Buzzkill (Before You Say Goodbye)’. Elsewhere, fans of Incubus may get a kick out of ‘Fallen Star’, before ‘There Will Never Be Another’ closes things off almost exactly as they started. There’s little deviation, and no surprises, but be warned; it’s catchy as hell, and Hoobastank will get under your skin. File under ‘Angsty music that you can dance to’. By Eamon O'Neill, On 21st May 2018. 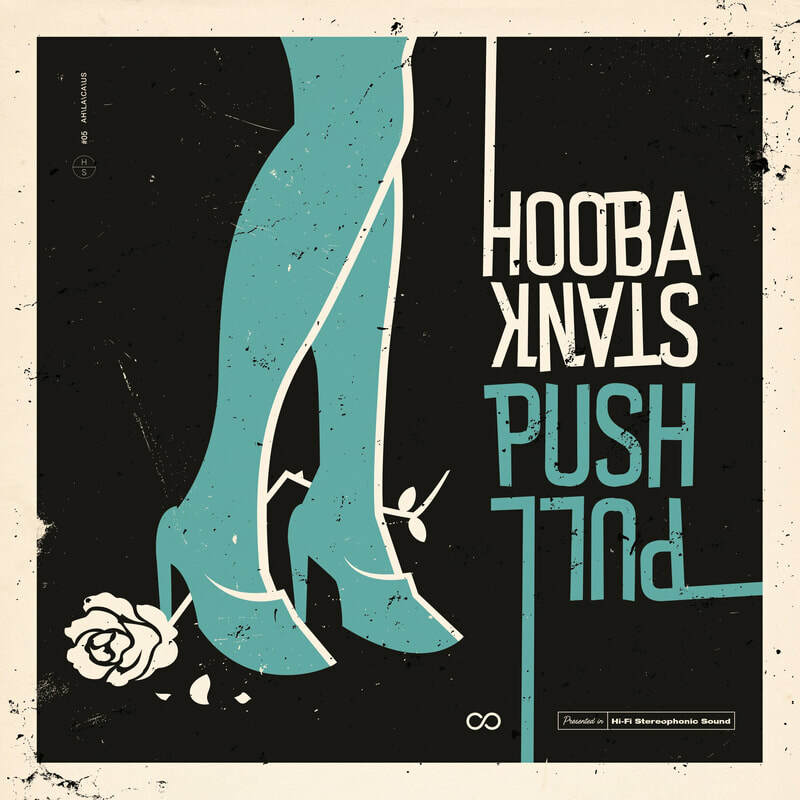 Hoobastank's 'Push Pull' is released on 25th May 2018 via Napalm Records. View the lyric video to 'Push Pull' below.